Are you one of those curmudgeons who constantly pines for the "good ol' days" of the Final Fantasy franchise? (Which would be back when Final Fantasy IV, V and VI were released, by the way.) If so, this is the game for you. 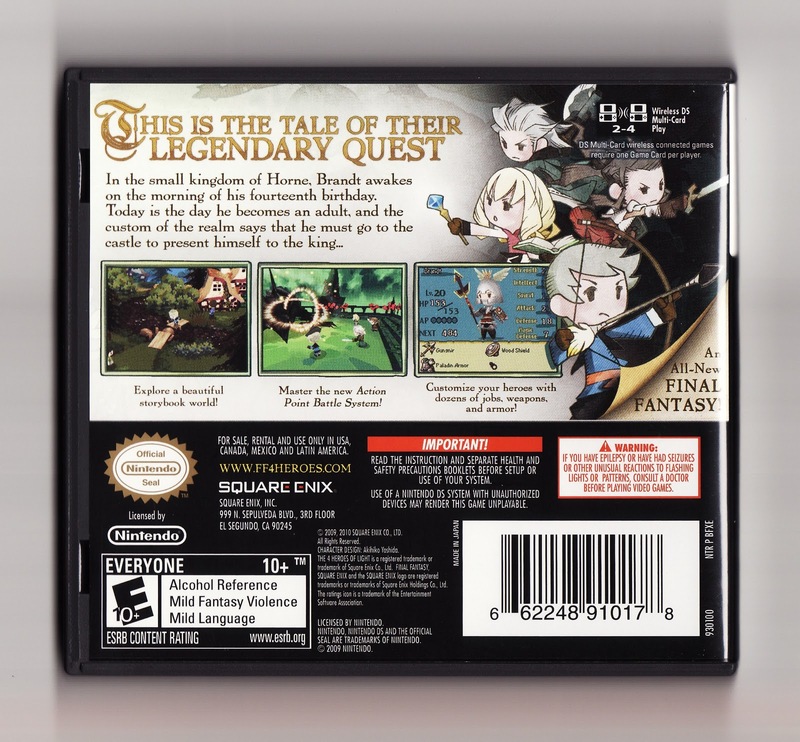 In many ways, it recalls Final Fantasy V--although this game's characters aren't as developed and its class/job system isn't as deep. The 4 Heroes of Light is quite a bit more difficult than that title, though--for instance, the appropriately named Chaos may be the most difficult last boss I've ever encountered in a Final Fantasy game--which counts for a lot in my opinion. Also, it includes four, 100-floor bonus towers that open up near the finale and greatly extend the life--and enjoyment--of this charming throwback of an RPG. I still might pick this up if I find it cheap, used, and at a good time. Actually, I have more money right now than I have in a long time...but I'm saving for a 3DS. Every dollar I spend makes me think, "Well...that's another dollar I have to take out of the 3DS fund!" It's a great motivational tool. And I only have to be good for a few more weeks!!! Oh, yes, of course! My gosh, I've kind of forgotten that the 3DS is out so soon. I can't wait to hear your thoughts about it! What games are you planning to buy with it, if any? I don't know...I honestly have no idea. I'll probably get Kid Icarus, since Robb's a huge fan. And...I'll end up with Ocarina of time, at some point. Other than that? I dunno...whatever looks good, I guess. Well, the great thing is that you don't have to buy any games if you don't want to ... you know, because you can play all of your DS games on it! True dat. I'm actually most excited about the 3D camera. That's HUGE! The AR games that are included with each system look cool, too! Wow. 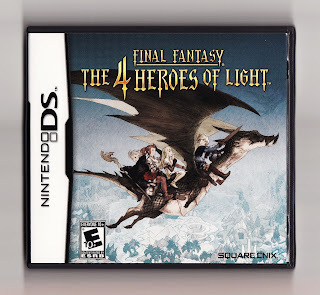 I'm not a fan of the FF series, nor classig RPG-style games in general.. But that cover appeals to me a lot. Clean but detailed. Very nice indeed. It is a pretty nice cover, isn't it? I actually didn't like it all that much at first, to tell you the truth, but it's since grown on me.